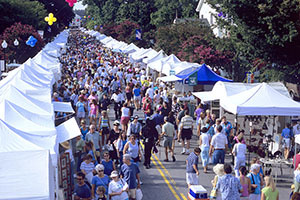 The Triangle Area presents numerous venues and organizations that provide an ongoing stream of opportunities for fun and entertainment. A fine collection of parks, museums, entertainment venues, fine arts organizations and sports teams have created a never ending source of enjoyment for those who visit or make the Triangle Area home. Downtown Raleigh has become a location where numerous events are held thourghout the year starting with Raleigh First Night, our New Year’s celebration. The Triangle’s diverse cultural composition contributes to an interesting landscape for entertainment and a wonderful place to live and play. Try our list below and if you’re still searching at the end of the day or looking for more, try the Calendar of Events at the Visit Raleigh website.